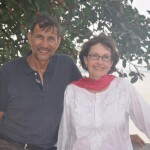 Founding directors of Neighbours Aid with over 40 years experience in running a small business. They have sat on a number of Not for Profit Boards and Jesma is Board Chair of Nambour Christian College. John’s qualifications include Dip. Hort; Member of AICD. Jesma’s Qualifications include BA Arts, Post Grad and MA Arts, DMIN Candidate, Member of AICD. She is currently a Doctoral Candidate at Harvest Bible College researching and writing a thesis on Social Enterprise models of fund raising for International Aid and Development. Peter has over 40 years experience as owner and developer of large businesses and projects and is director of a number of For Profit and Not for Profit Boards. 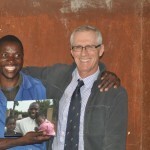 Peter has been involved in aid and development, living and working in Kenya, Vietnam and Vanuatu. Tim is a partner in a Pathology Clinic on the Sunshine Coast and a board member of Nambour Christian College. Tim visits Africa as part of the Helping Hands Working Expeditions and shares his expertise with the local medical staff. Tim’s qualifications are Bachelor of Medicine and Surgery, Fellow of the Royal College of Pathologists of Australasia, Graduate Diploma Computing. is the Director of Ministry for Nambour Anglican Church and married to Reverend James Hall who is the senior minister at Nambour Anglican. Together they have four children and have lived on the coast for over seven years, previously having lived in Outback QLD and Maryborough. Upon graduation from high school, Helen completed a Bachelor of Business Management (HRM and IR)/ Bachelor of Economics dual degree which led to her employment with World Vision in a HR role for several years. It was here she gained her passion for children in developing nations and sustainable living in poverty-stricken areas. 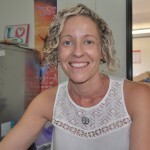 She has always been drawn to the field of psychology and her current role at Nambour Anglican involves much interaction with many people from all different backgrounds. 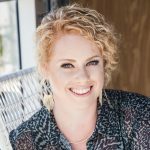 Helen began a Bachelor of Psychology part-time at the University of Sunshine Coast and found her passion for psychology grew and now she desires to become a Clinical Psychologist. She serves on the committee/boards of several NFP’s and is passionate about enabling people to live life to the full. Jo brings many years of experience in International Aid and Development to the Neighbours Aid Board. She has visited the projects many times, sharing her knowledge and expertise with local medical staff. She is currently an on line tutor for several Queensland universities. 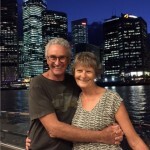 Joan’s qualifications are Bachelor of Business Management (HRM and IR), Bachelor of Economics and she is the Director of Ministry at the Nambour Anglican Church. John has more than 40 years business experience, mainly in the technology and education sectors. He serves on numerous charity and not-for-profit Boards and has joined a number of the ‘helping hands’ working expeditions to NACS projects. He has a passion for leading and involving secondary school age students in these overseas visits. 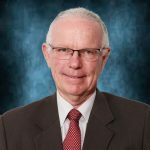 John has a Bachelor of Commerce degree from UNSW and brings to the NACS Board a significant level of expertise and experience in business development, promotion, community engagement and governance. Tenille has enjoyed progressive career development across the private and not for profit sector for the last 15 years. Most notably during the last 7 years Tenille was engaged in an executive level role within an International Aid & Development organisation. Her dedication to this role increased her operational knowledge of the not for profit sector and refined her skillset to develop key strategies. Tenille has developed a solid focus across operational management functions such as strategic planning, financial management, policy, human resources, donor engagement, reporting & analysis, compliance, governance, project and risk management. Are you interested in volunteering at one of our stores?